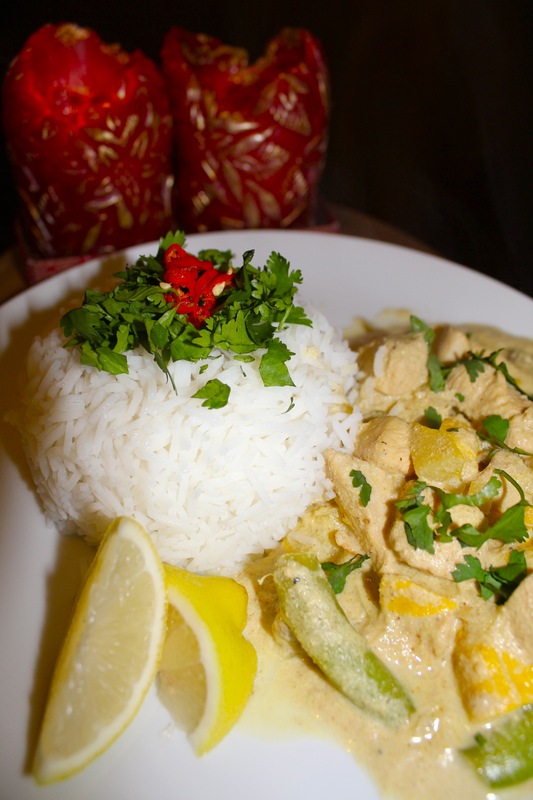 Pistachio nut chicken korma | Hey Bernice! 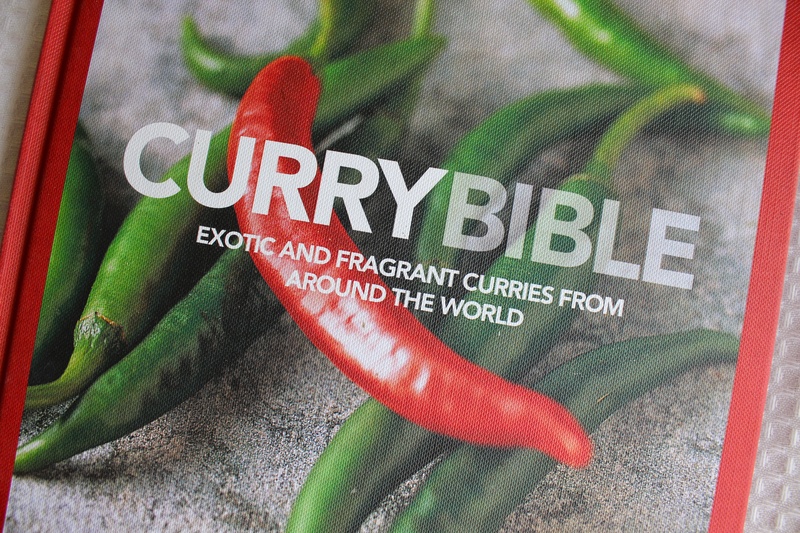 I made it the other night – with the weather turning colder, and the sound of the wind in the trees outside… I had the urge to cook a comforting, mild, but fragrant curry. I wish I could provide you with a sample of the fragrances that filled the house while I was cooking – from onion, garlic, ginger, cardamom pods, ground coriander to rosewater… it was SO GOOD! Anyway, I am taking a lazing approach (I have a good excuse: with a 7 week old baby and a husband fresh out of hospital and surgery for acute appendicitis!! 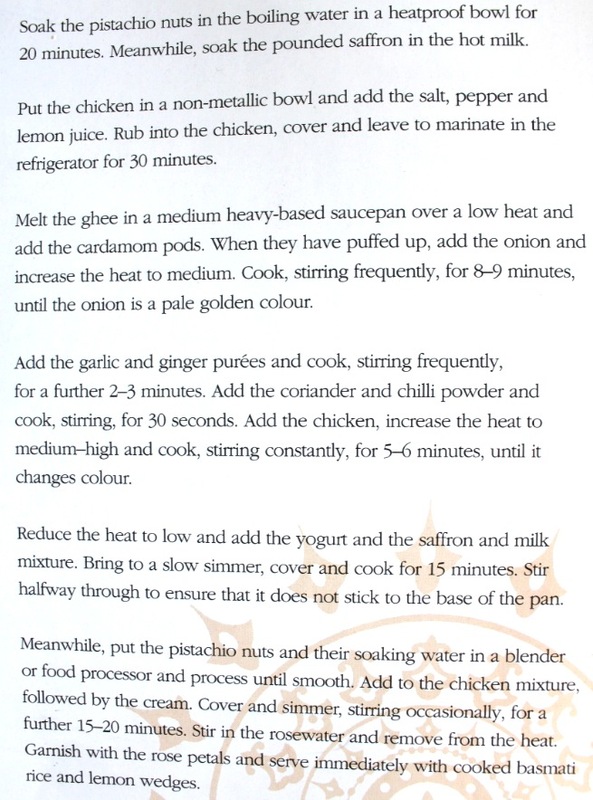 ), and have taken a photo of the recipe for you… but I would highly recommend you add the Curry Bible to your cookbooks, everyone needs a good curry cookbook.